The tiny silver disc leapt from the shelf. The convolution of three events today raised my antenna that there is a superior organizing force out there that is directing our path as we hurtle through space. As I was cleaning off our bookshelf, a small battery dropped to the desk. These are the tiny nickel-cadmium dots that we find in cameras and calculators. Not the larger lithium incendiary bombs that we have in our laptops and hover boards. The calculator that failed to light up. The battery was all that was left of a calculator I tried to resuscitate a few months ago. 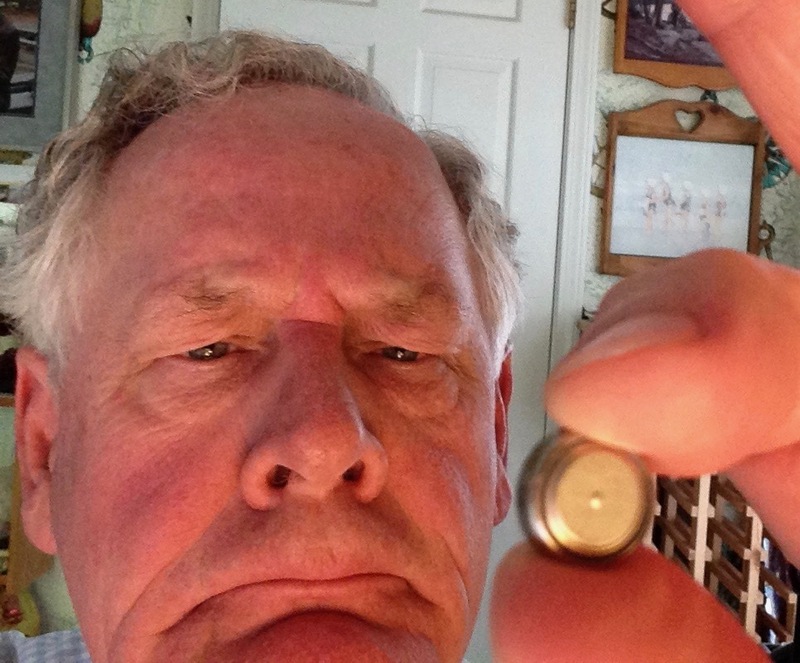 When the machine didn’t light up, I undid about 9 tiny screws to retrieve the battery. 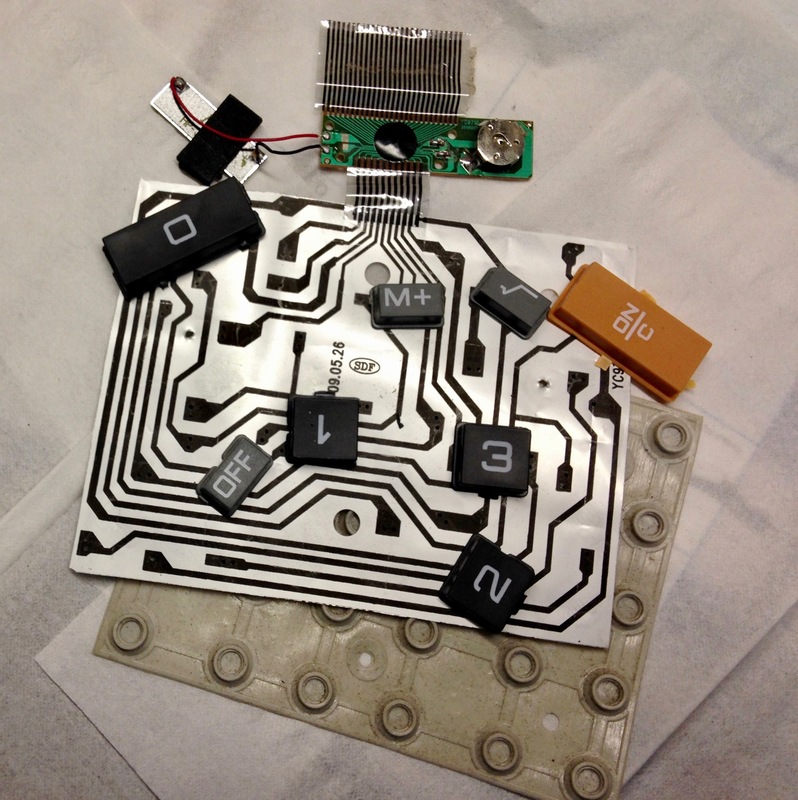 As I popped off the back, the entire calculator sprung into a hundred pieces of keys, buttons and circuit board. Incalculable. I saved the battery to take into the hardware store for a replacement, just in case the calculator could be reassembled. The next thing that happened was while emptying out the washing machine, we discovered that I had left my Moleskine diary in my shirt pocket. We retrieved the diary cover, very soggy, and found the rest of its contents spread like a million flakes of oatmeal over all our clothes. So much for keeping notes on paper. A misadventure, attempting to extract the battery for replacement. 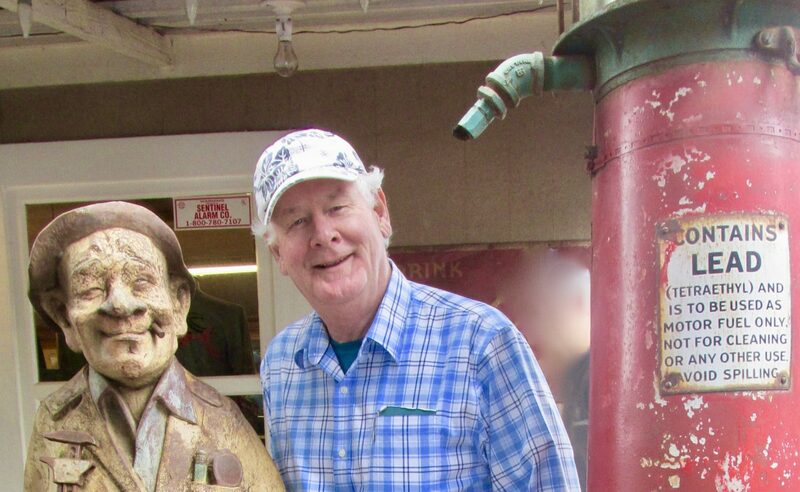 As the morning progressed, Lonny the mailman came by, and stuffed our mailbox with lots of missives from people we don’t know, but asking for money. The largest piece in the delivery was a giant, lumpy, shiny, pebbled envelope from Disabled Veterans National Foundation. 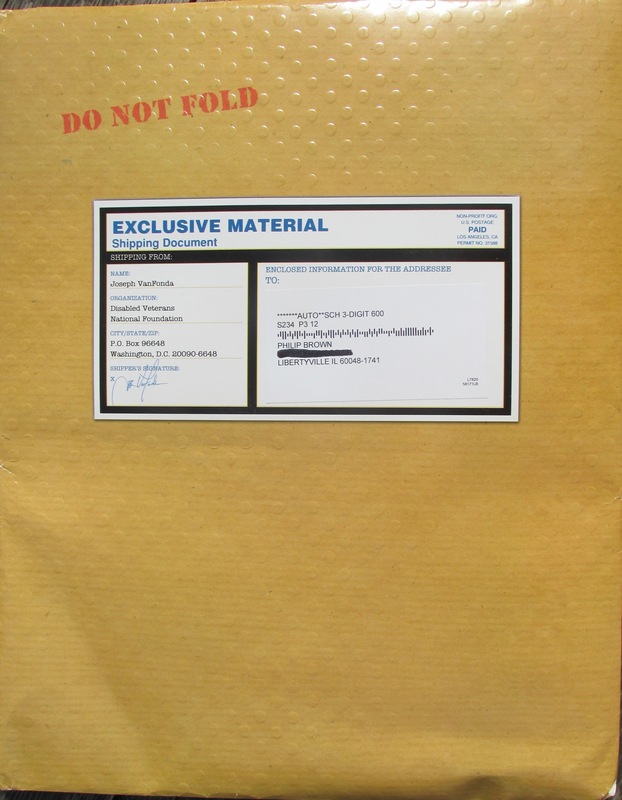 The DVNF package was an exceptional “Flat”: 12″ x 15″. So huge that all the other mail was folded in with it. In direct mail, size counts. 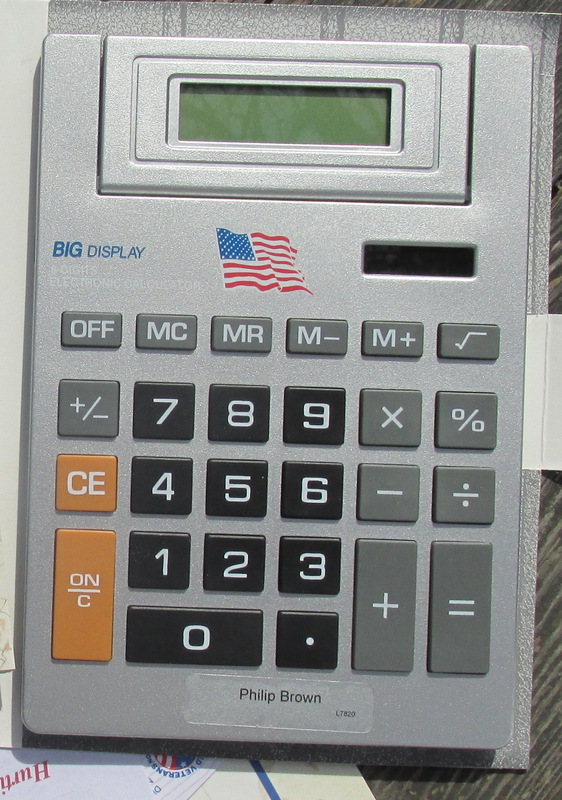 So I opened it immediately to find, mirabile dictu––another calculator! And—- another diary! Wow. I am completed. 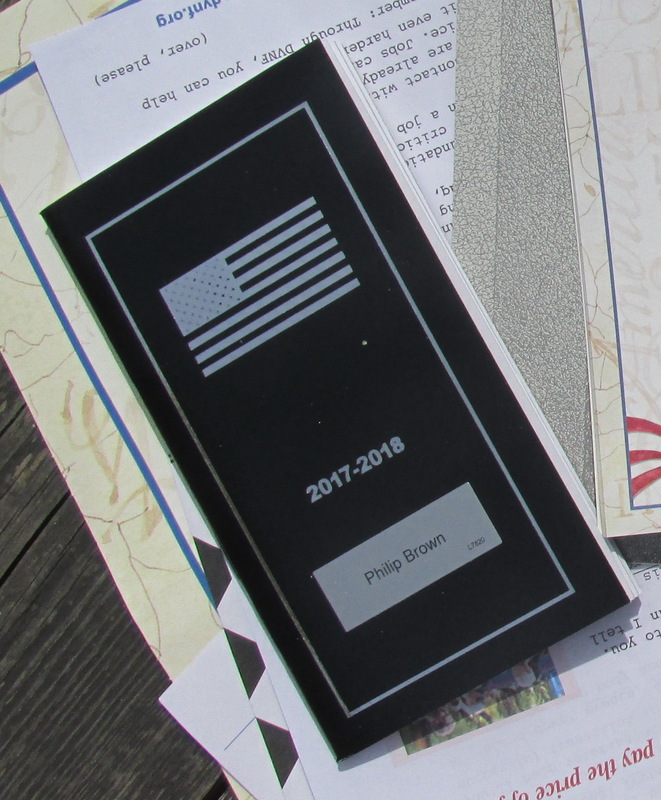 After admitting that the USPS may be a supernatural force, most would ponder the imponderable: how does DVNF get away with sending out calculators, books and notepads, and expect to earn any money for their cause? A “max flat” the 12 x 15 kit is shiny, pebbled and lumpy. It was folded to fit the mailbox. That, dear reader, is one of the great mysteries of direct mail fundraising, and one that I will unravel for you now. All you need to know is what the package really costs, response rate and average dollar gift amount. A new pocket diary, calculator, memo pad and pen, all personalized. I stared at him as I pondered that number. At the same time Ranjit extended his arm across the counter to flash a beautiful bejeweled wristwatch, sparkling in buttons, numbers, dials, and a bright yellow face. “How much do you think this cost?” He smiled. Smitten with this new-found knowledge of international commerce, I bid him a good day and took my 20-cent calculator back to the car. The whole mail kit, which included the calculator, the notebook, DVNF pen and some letters and envelopes weighed 9.1 ounces. According to the USPS, this Flat was part of a 3-digit automation scheme, so I estimate the non-profit postage was about $0.59 a piece. This pocket diary replaced the soggy Moleskine in a nick of time. The envelope was made in China, as was the notebook. Without asking, one can only guess that the components all assembled, shipping included, must have cost around $2 dollars. 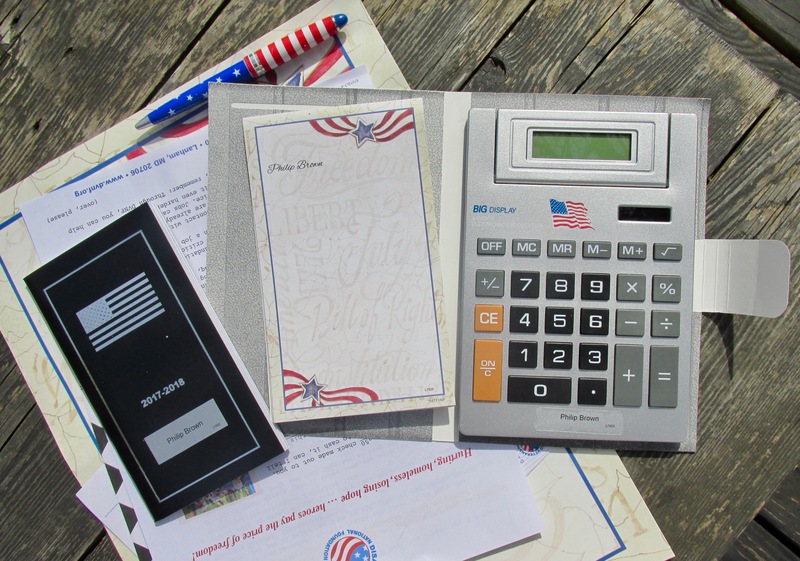 Add another 50 cents for the 5-way match on name (envelope, calculator, notebook, donor form and notepad) and you have a kit that surely cost over $3 dollars to put in the mail. That’s $3,000/m for you printers out there keeping score. 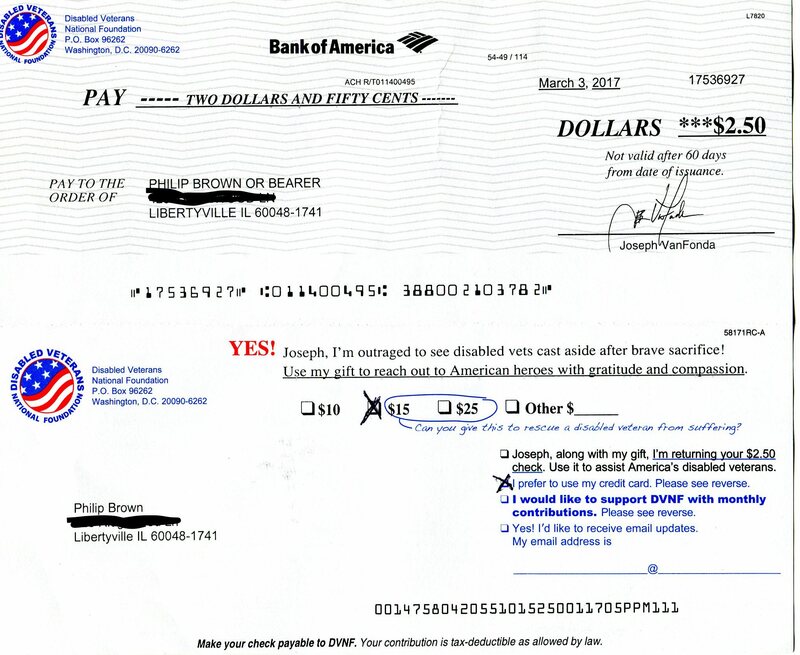 The donor form offers a $2.50 check as a tempting diversion. But they want $15-$25. Go figure. When most mail kits ring in around $0.35 cents each, $3 dollars is a hefty challenge. In their calculations DVNF finds a breakeven point by dividing the total cost of the kit by the average gift amount. Looking at their donor card, they suggest a gift of $15-$25. Taking the lower end, their breakeven response is $3/$15 = 20% response. At the higher end, 12% response. 12% – 20% response is a steep hill. This particular charity is known for its high fundraising costs. According to Charity Navigator their fundraising efficiency is $0.71. That means for every dollar raised, they spent 71 cents. For this package, that translates to $3/.71 = $4.23 raised for every piece mailed. If their average gift is $15, then their response rate would be $4.23/$15 = 28.2%. And at $25, the response is 16.9%. There’s no way to be certain, and DVNF is unlikely to share their response results. But the package itself is a donor acquisition kit. That is, a high pressure sales pitch to get a new donor. If indeed it did generate a 28.2% response rate, with a gift of $15, the cost per new donor is: ($4.23-$3.00)/28.2% = $4.36, which is pretty darn good, if not downright incredible. It also follows that every new donor will be repeatedly contacted for further donations, which over time, leads to a real surplus, destined for program expenses that support the disabled veterans. Thanks for grinding through these numbers with me! Please note that Disabled Veterans National Foundation should not be confused with Disabled American Veterans.